Our choices and suggestions this weekend extended from our weekly blog as we tweeted for every race at Woodbine on Jan. 21. TwinSpires’ special points-bonus Saturdays at Woodbine launched Saturday. 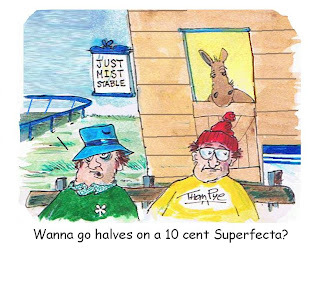 For all successful $10 win bets, players get 10X TwinSpires Club Points. The Willowdale Final was one of our blog suggestions that we echoed in our tweets at Woodbine. We were elated to see Audreys Dream go off near 15-1 but deflated when Westwardho Hanover, the dead-on choice, won. The undercard feature, the Snowshoe, was almost a giant upset. Our choice, Warrawee Nonsuch, was second at 50-1. The place price was $28.80. With the favorite winning, the exactor paid $111.70. In the race before the Snowshoe, we tweeted Selfish Princess. She was 35-1 and finished second to the favorite. She paid $28 to place and the exactor paid $243.20. 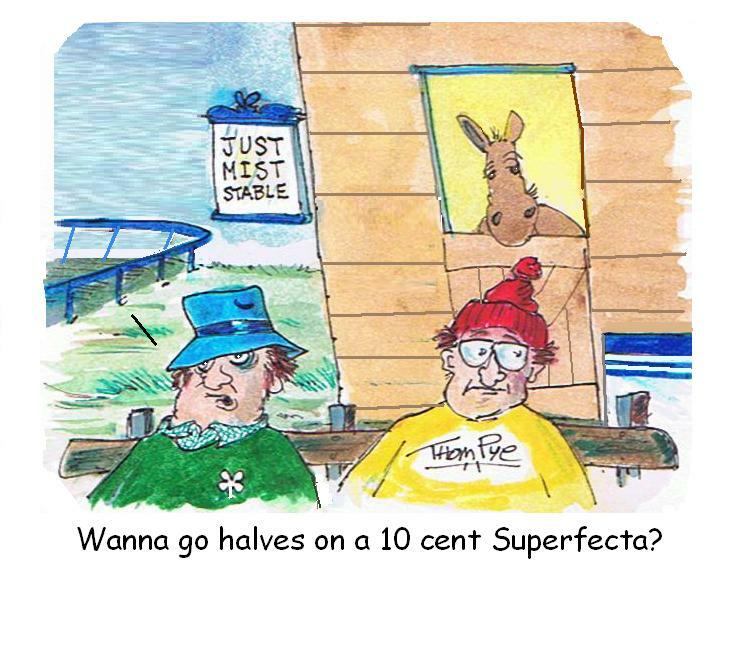 We tweeted two winners, though they were nothing to scream about: Grin For Money paid $5.60 and Reibercrombie paid $4.40. Three others finished third and four were out of the money. At the Meadowlands, our Presidential gimmick just proved that history does not necessarily repeat itself. The favorite, Golden Receiver, soared to win another leg with no real challenge. Artist’s View was nowhere. The first leg found Annieswesterncard finishing second again. In the Complex legs, Nathan Feelsgood was no factor and our pass in the other leg, due to the giant favoritism of Itrustyou was a good move, with that one winning at a prohibitive price of $2.60. At Cal Expo, the no-takeout Pick 4 paid $176.70 without the use of our choices. The first leg was a race riddled with trouble and our two choices were affected. We were second with Muzhik Hanover in leg two, second with KR Rowdy One in leg three and second with Hes Country in leg four. Our choices were alive and certainly would have brought a better Pick-4 price. So we continue next week with the same aim. At Pompano, from our H2W list, Spring Goal won, paying $7.20. At Northfield we had two winners, Getrichordietrying ($5.40) and Longlegacy ($3). 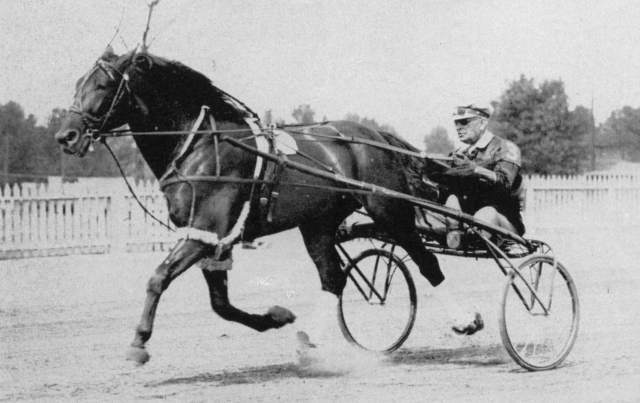 It’s time to preview some 2012 harness meets. Write this stuff down on your calendar. The 2012 fall harness racing dates at Colonial Downs will extend six weeks, beginning Sept. 5 and continuing through Oct. 14. Racing will take place Wednesdays, Thursdays, Saturdays and Sunday at 1 p.m. The annual $300,000 (est.) Virginia Harness Day of Champions on Oct. 14 showcases two- and three-year-old pacers and trotters of both sexes in eight divisional championship races. Tioga Downs and Vernon Downs have finalized 2012 schedules. Tioga will hold 61 live racing days beginning on May 5 (Kentucky Derby day). Tioga will once again host the Cane Pace, with eliminations on Sunday, Aug. 26 with the final on Sept. 3. The Empire Breeder’s Classic for soph New York-bred pacers has eliminations on Aug. 5 and the $250,000 (est.) finals are on Aug. 12. Other marquee events include: Tompkins-Geers, a leg of the Miss Versatility, Shady Daisy, and Historic Stakes. Vernon Downs will kick off its 2012 race season April 27 opening a 90-day race meet through Nov. 3. Vernon hosts the newly organized $700,000 (est.) Zweig Memorial Trot on Aug. 26. The $500,000 (est.) Empire Breeder's Classic for New York-bred trotters has eliminations on June 1st and $250,000 (est.) finals on June 8.